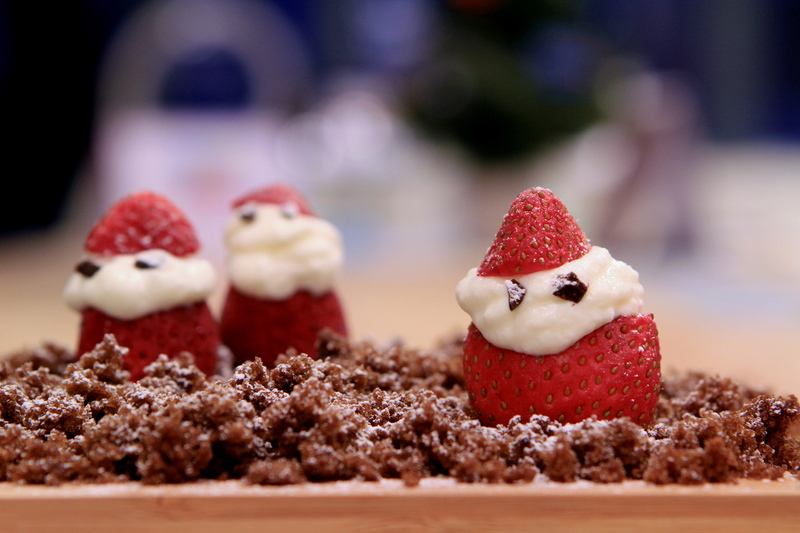 These adorable Strawberry Santas are a sweet way to enjoy the berries. They are so simple to make that even your kids can make them. Wash the strawberries and remove the stems. Cut the top of the strawberries and cut the pointed end of the strawberries, enough to make small hats. Keep aside. Beat whipping cream and sugar until soft peak. Then place the whipping cream in a pipping bag and cut a small hole at the bag. Pipe a small amount of whipping cream in between the top of the fruit and the hat. Decorate with chocolate chip to make eyes. you are really a genius to think such a creative recipe…..beautiful…..